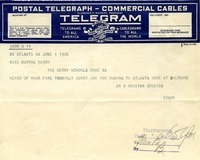 B. M. Hall wires Martha Berry to inform her of Hall's upcoming arrival by Southern Railroad. 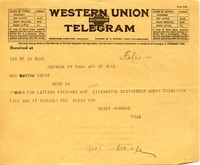 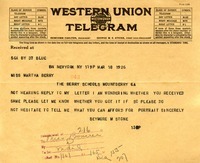 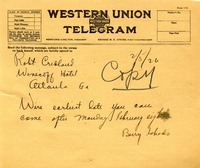 A telegram to Adele Hammond from Martha Berry, congratulating Miss Hammond and sending her their "united prayers." 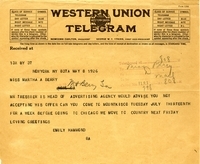 Seymore telegram's Martha having heard nothing about the portrait and to tell him what she could afford for portrait. 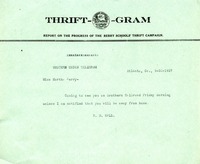 Inquiry for placement of orphan girl with offer of assistance. 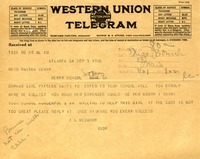 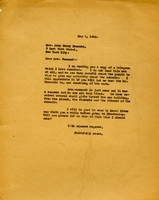 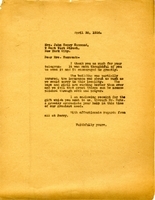 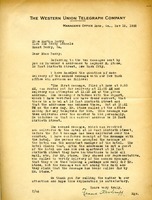 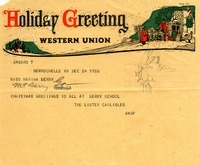 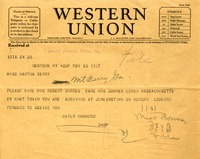 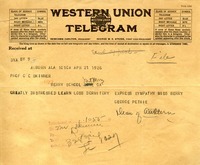 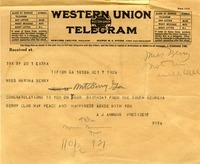 Telegram to Martha Berry from A. J. Ammons wishing her a happy birthday from the South Georgia Berry Club.